SRINAGAR: Indian occupation forces martyred six Kashmiri youth in Indian occupied Kashmir’s Shopian district on Sunday, the Kashmir Media Service reported. 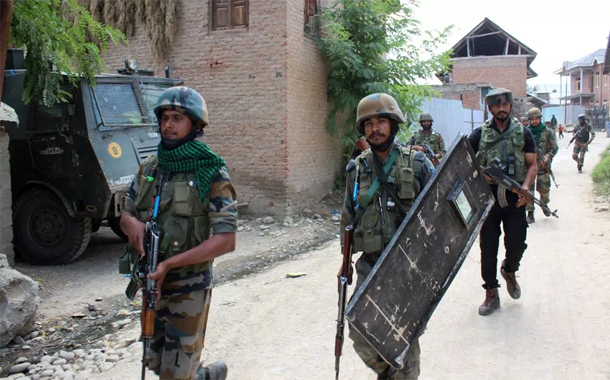 The youths were martyred during a cordon and search operation jointly launched by Indian army’s 34-Rashtriya Rifles, Central Reserve Police Force and Special Operation Group at Batagund in the Kapran area of the district. A house was also destroyed in the firing by the troops. Bodies of martyred youth were found from the debris of the destroyed house. The authorities also suspended internet services in the Shopian district and other areas of the south Kashmir. Earlier this year, in June, a United Nations report accused India of having used excessive force in occupied Kashmir to martyr and wound civilians since 2016, as it called for an international inquiry into the accusations of rights violations. Activists estimate that up to 145 civilians were martyred by security forces and up to 20 civilians martyred by armed groups in the same period, it said. India rejected the report, calling it a “selective compilation of largely unverified information” that sought to build “a false narrative”, adding that it violated the country’s sovereignty and territorial integrity.